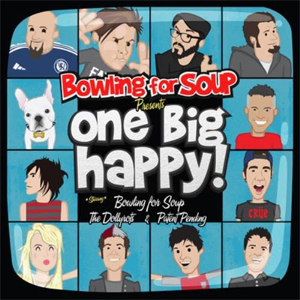 Bowling for Soup, The Dollyrots and Patent Pending have released their split, One Big Happy, in the US and the UK. On this split, each band covered each other as well as introduced a brand new song to the album. Listen to an interview with Patent Pending at Warped Tour this year on the making of the split with Fearless Radio. Purchase One Big Happy on iTunes in the US here. For UK fans, purchase the split here.